CORD EXTENSION 100 FT.10/3 Rentals Ft. Collins CO, Where to Rent CORD EXTENSION 100 FT.10/3 in Ft. Collins, Wellington, Greeley, LaPorte, Loveland, Windsor CO and all of Northern Colorado. 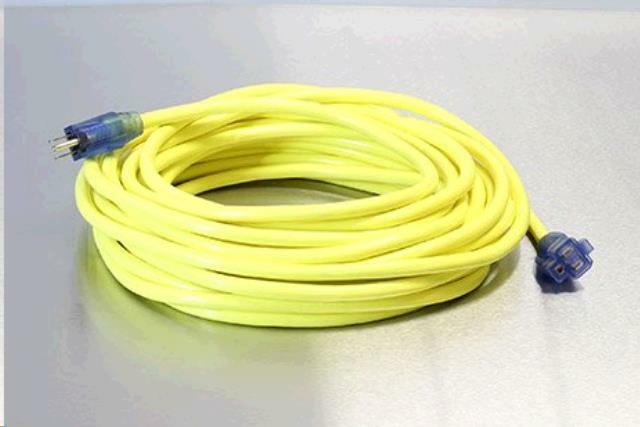 This is a very good heavy duty extension cord, stays soft in cold weather. Green 100 ft long, 10 gauge, good up to 15 amps. * Please call us for any questions on our cord extension 100 ft.10/3 rentals in Fort Collins, Wellington, Greeley, LaPorte, Loveland, Windsor CO and all of Northern Colorado.